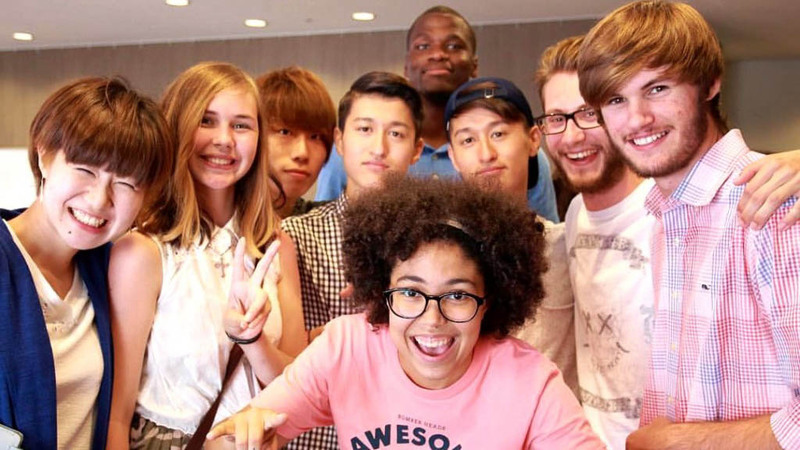 We have met many friends who speak multiple languages here at Language Exchange; people who grew up in a multicultural, and bilingual environment. In fact, we noticed that these days, especially with the youth—’Millenials’, as we call them, that it’s almost a common thing to at least speak two languages. But maybe as you read this, you shake your head, thinking, ‘Nope. not for me.’, yes, it’s true; learning a language is not an easy task—especially if you’re not fond of sitting long hours, memorizing phrases from monotonous books. But it doesn’t have to be hard either. Learning a language is a lifetime pursuit. But it’s one of the most rewarding skills you can learn in life. We have found 3 important things to keep in mind when learning a language. Skills that you’ll need to develop as you go on learning. And what I love about these skills, is that it’s not limited to one language. You can apply these to any language you want to learn in the future. So here are three indispensable skills when learning a language. I want to stop you for a moment. Now, I want you to think how infants learn how to speak. Yes, they learn by observing first. Babies learn the meaning of the word ‘no’ and ‘bye-bye’ without reading books. They simply learn these words by experiencing the word meaning in context. When ‘daddy’ goes to work he says, “bye-bye”. When mommy warns little baby not to eat the sand she says, “No,” often with a big, “NO”. Now put it in context, it’s the same with us adults—err grown ups. The first step when learning the language is to observe the speakers of the language first. Observe the articulation of the syllables—the length, dynamics, and abruptness of the words being pronounced. The key here is to pay attention well. Become better at observing, and you’ll get better at speaking. The outcome of good observation is accurate mimicking. Practice mimicking the speakers—how they say the words of their language. Stand in front of the mirror. Record yourself, and listen to your pronunciation based off of their pronunciation. Learn to resemble their pronunciation to yours, because the more you sound like them, the understandable you are to them. You can do people a huge favor by talking to them the same they talk. It’ll help them understand you better. And here’s a fact, did you know that it’s a lot easier to remember words when you actually speak them out loud? This is my favorite part. The reason why I love Language Exchange is that, I get to ask a bunch of questions, and people don’t seem to mind. In fact, they enjoy my questions. I get to ask them the words that I don’t understand—like the context of the words, and ‘when’ and ‘when not’ to use them. I remember one funny story. When I was in high school, I used to watch a bunch of Japanese anime cartoons with my siblings. Now, if you’re familiar with these shows, I’m sure you know where I’m going with these. So anyway, I memorized some words that are being used over and over again by these ‘infamous’ characters—which I found, after using them in a language exchange event, was taboo. I turned red in the face. And I was glad that my friends were graceful enough to tell me Gracefully not to use those words. Ever. Again. So much for observing anime… Good thing I had great friends. Here are some good tips; write down words that stand out to you. Keep them. And when the opportunity comes, ask your friends what the words mean, how to use them, and when to use them. There you go, three indispensable skills when learning a language. Keep it in mind—and don’t forget, have fun learning!